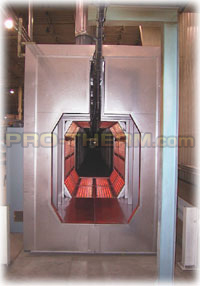 PROTHERM, LLC is proud to be the industry leader for building and supplying electric Infrared Booster Ovens for Powder Coating applications. We work directly with manufactures as well as systems integrators to provide you the best heating equipment for your application. We recognize that in today�s higher priced utility market that our customers need to maximize production while reducing operational costs. In most cases by adding an electric infrared booster to your convection oven you can responsibly do both while also improving quality. We have seen customers reduce operating costs up to 50% and even more in some cases, and increase line speeds by 50-100%. The PROTHERM electric infrared booster oven is also an environmentally friendly, responsible choice. Our clean electric heaters do not produce environmentally hazardous by-products, or add any other variables to the process. The heater style is proven to be the highest efficiency available giving you the most heat transfer for your energy dollar. Even the resulting ambient heat can be redirected into the convection oven for added savings. 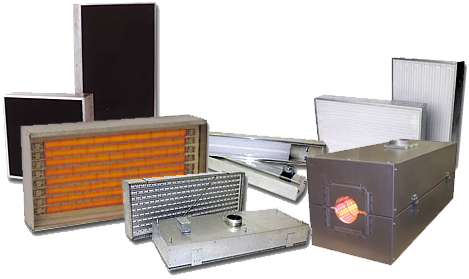 With recent government �Green� initiatives and mandates to reduce carbon footprints, Protherm, LLC Electric Infrared Equipment is the ideal choice to reduce emissions and utilize a clean energy efficient heat source. Advantages of adding a Booster Oven in front of a traditional convection oven. 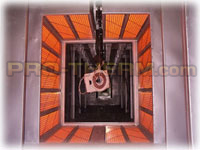 Parts are heated to desired temperature before entering convection oven. 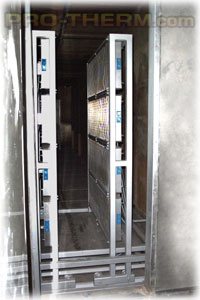 Powder flows or pre-gels before entering air flow to eliminate blow off or color contamination. Increased line speed, production, maximizing resources. Reduce convection oven by half or more, lower temperature and operation costs. Smaller foot print results in less work in progress. There are a lot of people making booster ovens that generally �look� the same. 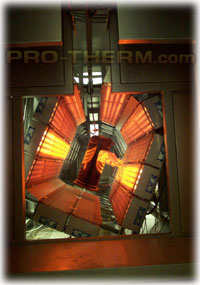 However there are many advantages to Protherm, LLC Booster Ovens that affect efficiency for dramatic long term savings and value. 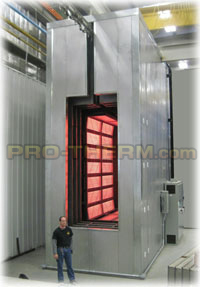 Advantages of PROTHERM, LLC electric Infrared Booster Ovens compared to other designs. Medium wave IR is ideal for most coating properties. No reflectors to keep clean to maintain efficiency. 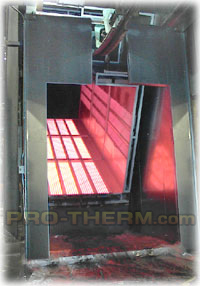 PROTHERM, LLC flat emitter elements direct all energy forward to your part. Tubular style emitters that many people use radiate energy in all directions resulting in over half of the direct energy heating the oven walls, not your product. Precise controllability throughout 0-100% range for sensitive parts or materials like plastic or wood. 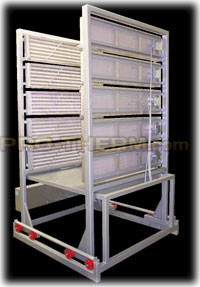 Solid state control panels built to integrate as you need. Fast response, for quick heat up times, shut off at gaps, or mixed parts. Safe clean heat source. No by-products like carbon dioxide or water vapor to add variables to the process. Single utility required. Rugged construction with proven long life. No fragile glass bulbs to deal with. Fast and easy to install with a minimum of field wiring and preparation needed. Virtually maintenance free. Simple in plant repairs if damaged. Custom zoned and arranged for your specific part profile. Properly applied and sized to the application with continued support.